Bookmarking: Recipes. I’m ALWAYS finding new recipes. This one for a Pecan Cobbler is probably the latest find. Creating: Space. 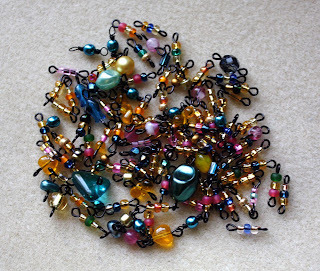 I’ve got this pile of beads and love the palette, but have become completely stuck on what to make of it. At this point, I just want it off my desk but I don't want to just stuff it away. Sigh. Enjoying: The weather. The temperatures have started to go down a little here in the Deep South and it’s almost bearable to be outside. Feeling: Better. The cold I had a few weeks ago is finally coming to an end. I hope. Giggling: At myself. I'm still really tickled by my anniversary pun from yesterday. Listening: To the quiet. Mornings are really quiet here. All I really hear is the running of the fishtank and the white noise of my laptop. Listing: A new necklace. Here's what's newest in the Etsy Shop. Needing: Coffee. My cup is low again dangit. Noticing: The mess. Well, I’m not just now noticing it, but the disastrous clutter in the craft room is getting to me. It may be time for another overhaul. Reading: Sedaris. I really prefer to listen to David Sedaris read from his books, he’s so funny. But I picked up his newest book, Let’s Explore Diabetes with Owls, from the library a few weeks ago and have finally cracked it open. Watching: Star Trek (seriously). During lunch, Pat and I watch an episode of a show on Netflix. We've worked through all the episodes in several shows this way. We started on Star Trek: The Next Generation last week and are really getting a kick out of it. Wearing: Comfort. Today is all about comfort so I threw on jeans, a t-shirt, and a cardigan. Also, bare feet.There will be flip-flops in my future (it's not that cool yet) and probably a necklace before leaving the house. Wishing: To go thrifting. I think I might hit up a favorite antique store or two when I head into Mobile later today. Wondering: What you think. How do you like this type of post from me? I like the freshness and organization of this post. And your Steel Heart :-) That necklace is gorgeous~those colors are so soothing! 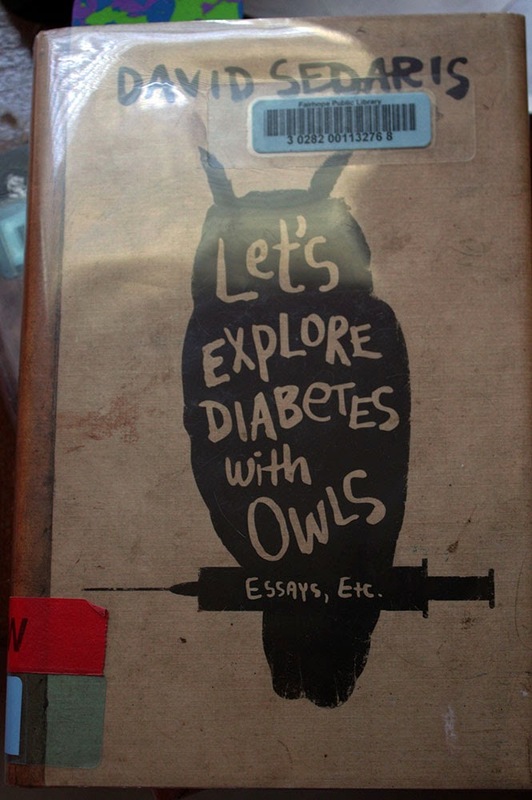 I have some David Sedaris but haven't opened yet. I don't know why, because when I see him on The Daily Show with Jon Stewart, he makes me laugh so hard I start to get cramps. Your suggestion of listening to him is a great one...full affect there! 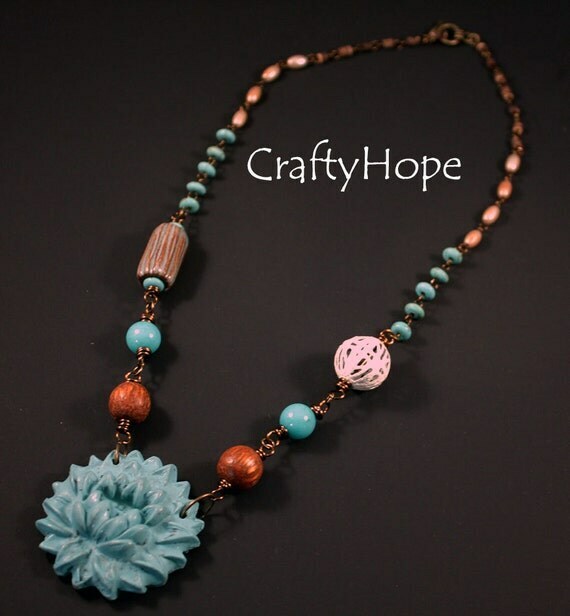 I like it Hope, although it should be titled the Meanderings of Crafty Hope. How about a long linked chain or a dangly charm bracelet with the beads? Like the different style of post for a change occasionally.